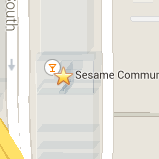 At Sesame Dental, our goal is to deliver the best possible dental care. We want our patients to experience the benefits of a healthier mouth and a healthier smile. Contact our Uptown or Downtown Seattle office to schedule an appointment!